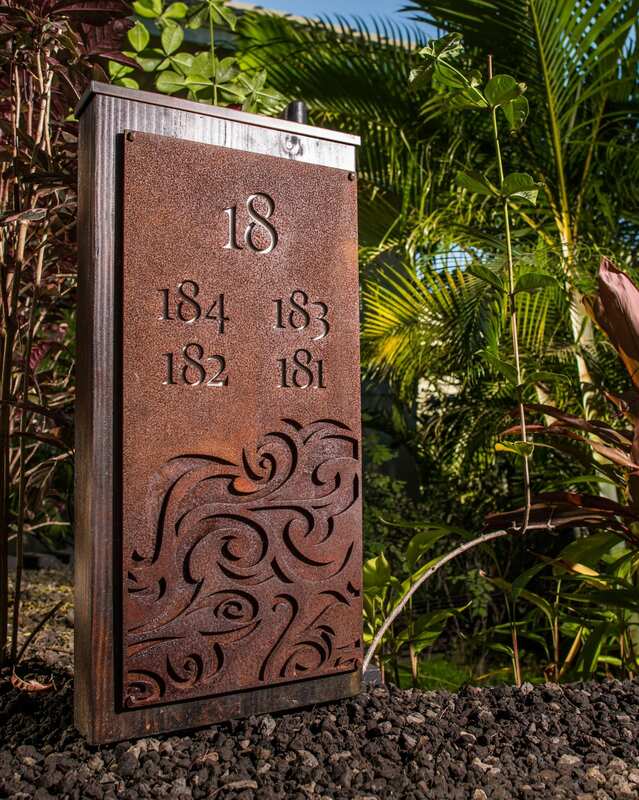 Hotel Wailea is a modern luxury retreat exclusively placed at the top of southern Maui. 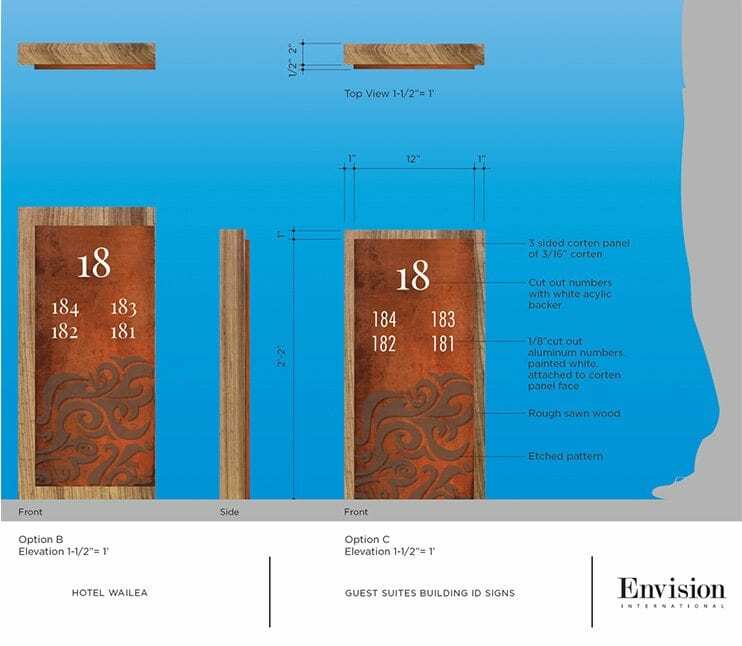 With the Relais & Châteaux accreditation Padilla Designs collaborated with Envision International, a Honolulu-based graphic design firm, to design, fabricate and install new property entrance gates, pedestrian gates and a variety of custom signage throughout the grounds of the hotel. 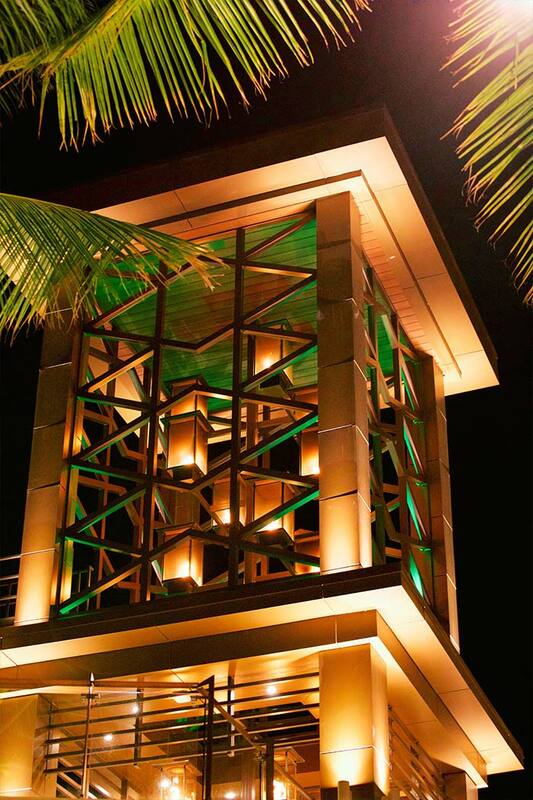 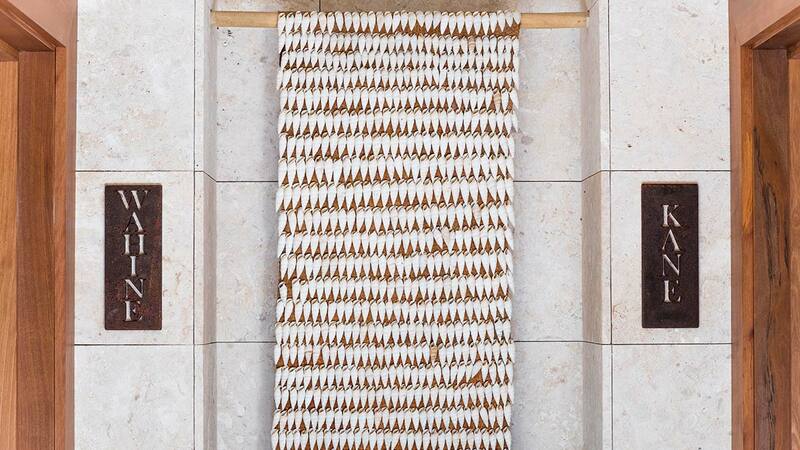 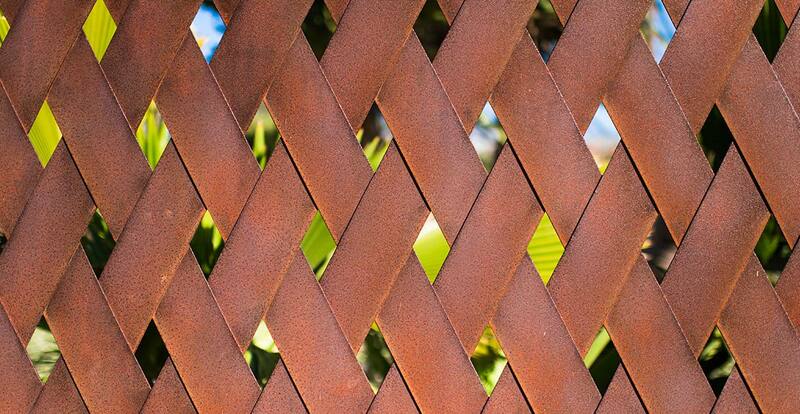 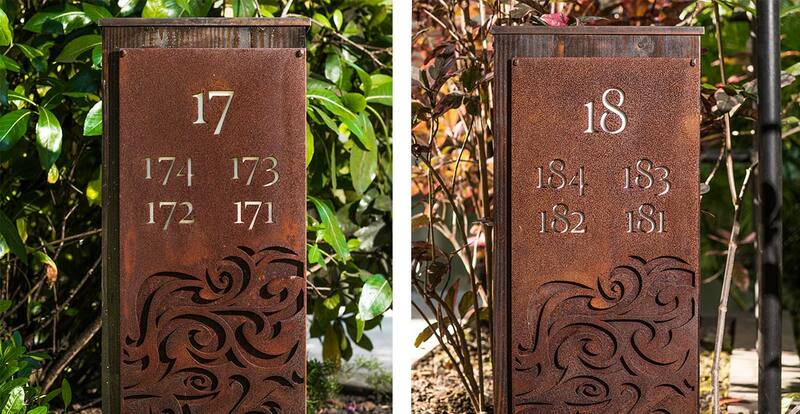 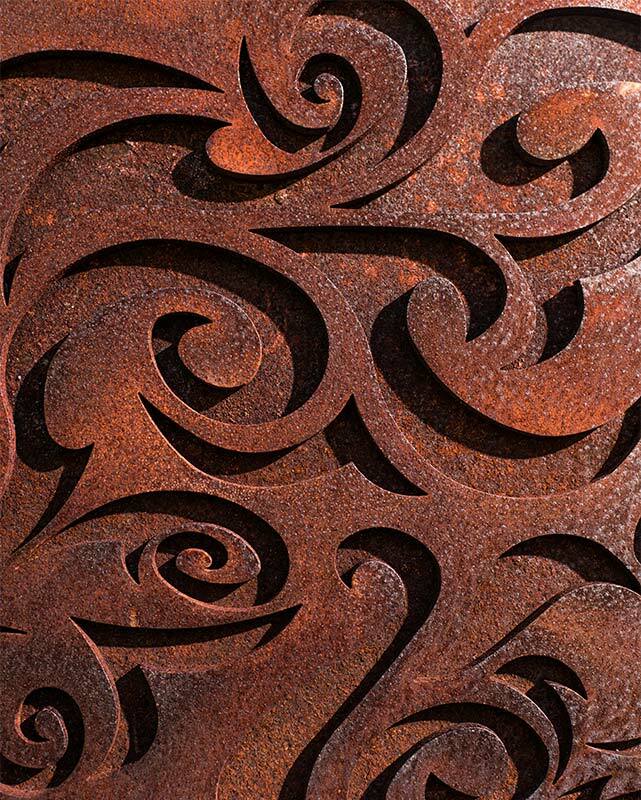 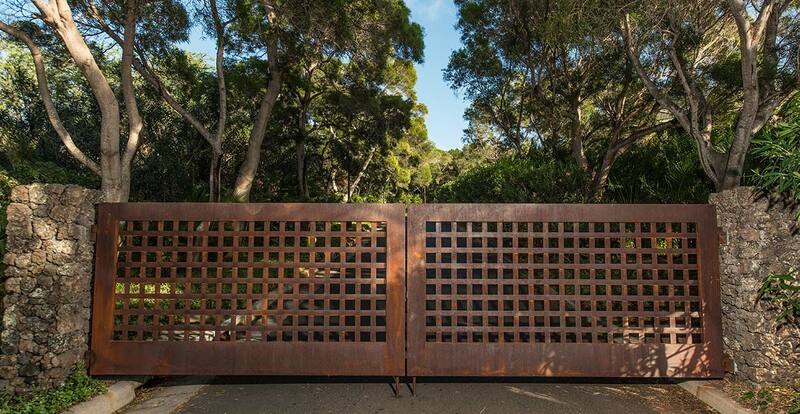 We weaved the natural patina finish of corten steel into the architecture of these elements. 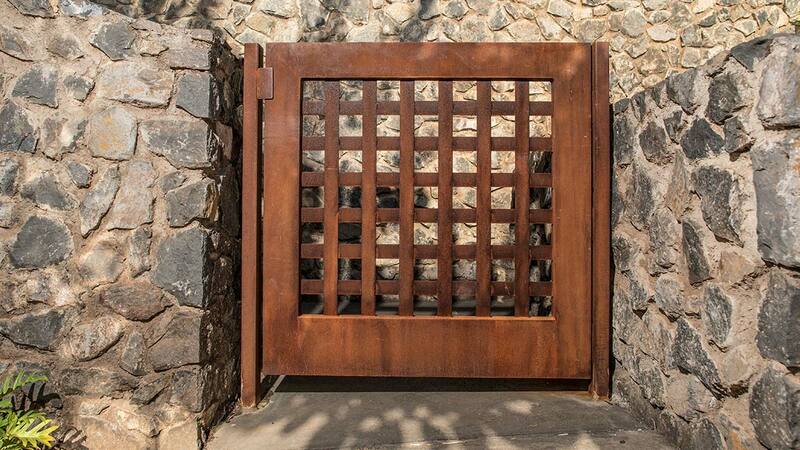 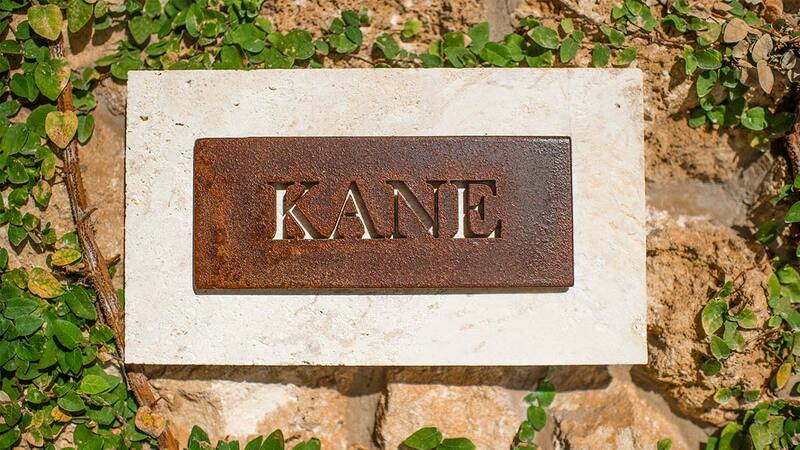 As the material is exposed to the environment it forms a natural rust layer that acts as a protective barrier and creates a soft organic finish that is timeless, durable and beautiful.